All villas consist of two levels, connected a wooden staircase. The stone dominates throughout the house, the elegant decoration creates a relaxing atmosphere and the surrounding environment inspires the guests’ well-being and good mood. On the first level there are 2 bedrooms separated by an accordion door. The first bedroom has a double bed and the second has twin beds. There is also a small balcony with beautiful views. Downstairs there is an open plan living/dining room area with a sofa bed (for one person), a fireplace and a dinning table. An extra bed can be added to accommodate a 6th person. 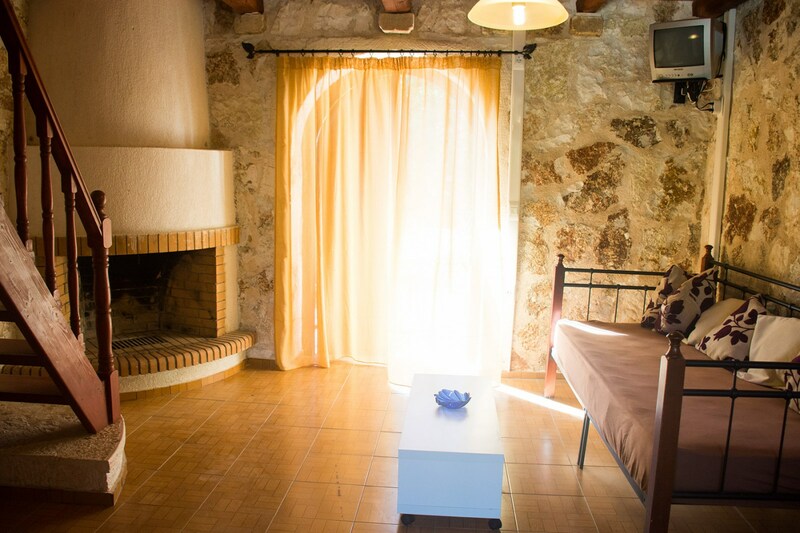 There is also an equipped kitchenette to prepare small meals and a bathroom with a shower and a small private patio. The complex has free parking, mini market and a shared use of garden with barbecue facilities. WiFi is available in all areas. 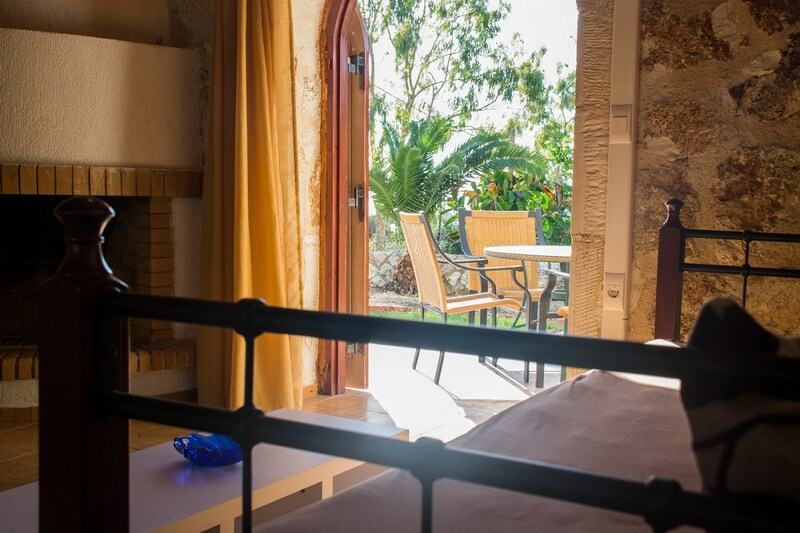 Each Villa can host up to 6 persons and provide the perfect solution for families and parties of friends.